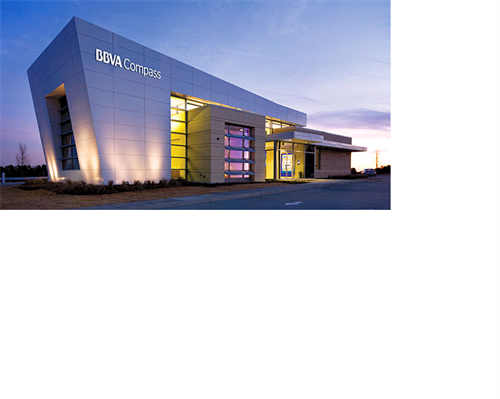 BBVA Compass Bancshares, Inc. is a Sunbelt-based bank holding company whose subsidiary, Compass Bank, operates 687 branches, under the trade name BBVA Compass, including 351 in Texas, 90 in Alabama, 78 in Arizona, 64 in California, 45 in Florida, 38 in Colorado and 21 in New Mexico. BBVA Compass ranks among the top 25 largest U.S. commercial banks based on deposit market share and ranks among the largest banks in Alabama (2nd), Texas (4th) and Arizona (5th). BBVA Compass has been recognized as one of the leading small business lenders by the Small Business Administration and was recently awarded the 2013 Celent “Model Bank Award” for its new core banking platform.